Trump confirmed that his lawyers are in discussion with Mueller, who is leading the investigation into collusion between the US president’s campaign and Russia in the 2016 election, and also into allegations that Trump tried to obstruct his probe. "I would like to do it as soon as possible... subject to my lawyers and all of that." "I would do it under oath, absolutely," he added. "Yesterday, they were talking about two or three weeks," he said. 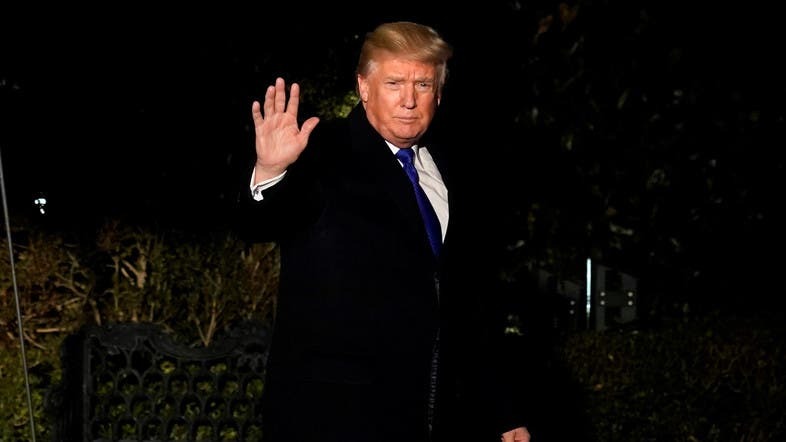 But White House lawyer Ty Cobb later seemed to walk back Trump’s remarks, saying the president just meant that he was willing to meet, The New York Times reported. "He’s ready to meet with them, but he’ll be guided by the advice of his personal counsel," the newspaper quoted Cobb as saying. Special counsel Mueller is believed to be focusing on whether Trump illegally interfered with the Russia investigation, particularly when he fired FBI director James Comey last year. His investigators have been edging steadily closer to the White House, interviewing Attorney General Jeff Sessions last week. But the form of an interview with the president needs to be negotiated -- whether it is face-to-face, or in writing, or a mix -- and Trump told reporters he would listen to his lawyers’ advice on how to proceed. Trump has repeatedly denied any wrongdoing and has said Mueller will come up empty-handed. "There has been no collusion whatsoever. There is no obstruction whatsoever," he said Wednesday. Asked if he thought Mueller would be fair, he replied: "We are going to find out... I hope so." Mueller, the former FBI director named in May 2017 to lead the Russia investigation, has already issued indictments for four people from the campaign. He has secured guilty pleas from two -- former national security advisor Michael Flynn, and former foreign policy advisor George Papadopoulos -- both for making false statements. Both are believed to have agreed to cooperate in the Mueller investigation.